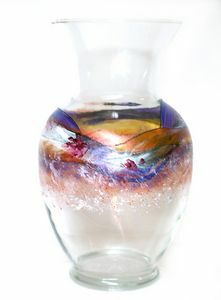 Spring Fields Hand Painted Vase / Tip Jar in Amethyst, Yellow, and Copper with splashes of White and Fuchsia. 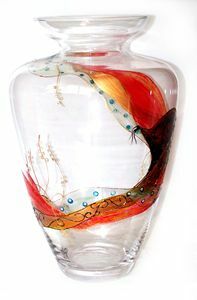 11" tall and 6" diameter. ARTini Glasses by Lisa are hand painted, by me, non-toxic, washable, and may be custom ordered. 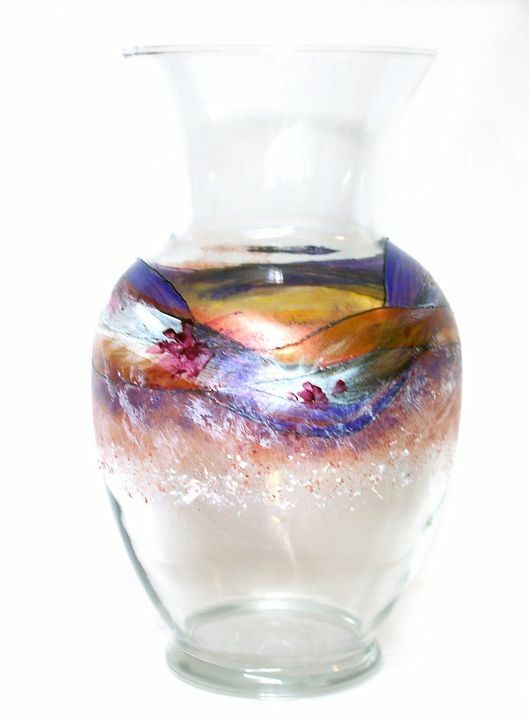 Amethyst, Yellow, and Copper with splashes of White and Fuchsia.